Click here to see our Black Friday and Cyber Monday deals! Tuning your car can be the most rewarding modification that you can do. Without a proper calibration your car is not living up to its potential. Even in stock form a car can see anywhere from 10 to 25 rear wheel horsepower from just a tune, as we cut the fat from the manufacturer's overly protective calibration. You will notice better drivability, better gas mileage, and most notably - more power. 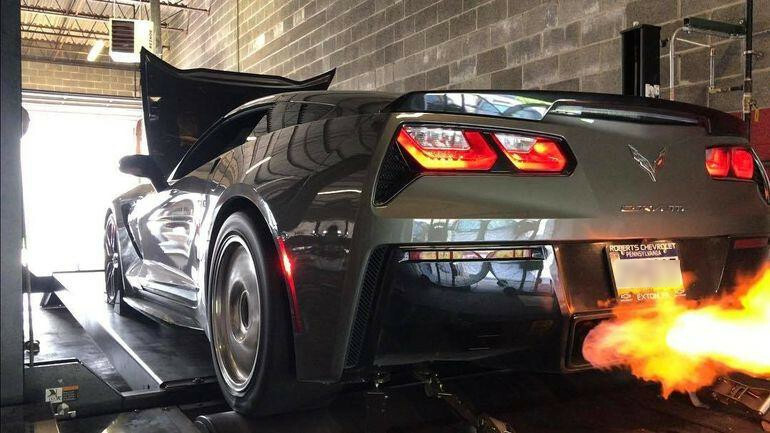 With our new Dynojet 224xLc Dynamometer, we can calibrate your car in a safe environment while using a wideband in BOTH banks (for applicable cars). This gives us a visual of both banks. The dyno itself gives us the opportunity to accurately quantify the gains we make. But the tuning process doesn't stop there. Every car that is capable of driving on the street safely, also gets a full street tune. This includes the idle, part throttle drivability, and full throttle. The fact we street tune increases the safety, reliability, and performance of your car. While dynoing, you are welcome to watch, tape, and even learn steps of the process. You are also welcome to rent our dyno if you are interested in doing your own tuning in our facilities. PLEASE NOTE: Good news and bad news. The bad news is that GM has upped their security measures which creates extra steps. 2017+ Automatic Transmission Tunes are now separate from our packaged Engine and Trans Tuning and will require the TCM to be sent out. Have certain questions about tuning and what you can do to prepare your car? Check out our F.A.Q.